June 09, 1989, LG Crabo. Dodia albertae is a dull gray small to medium size (FW length 14 - 16 mm) tiger moth with broad translucent wings and a slender body. 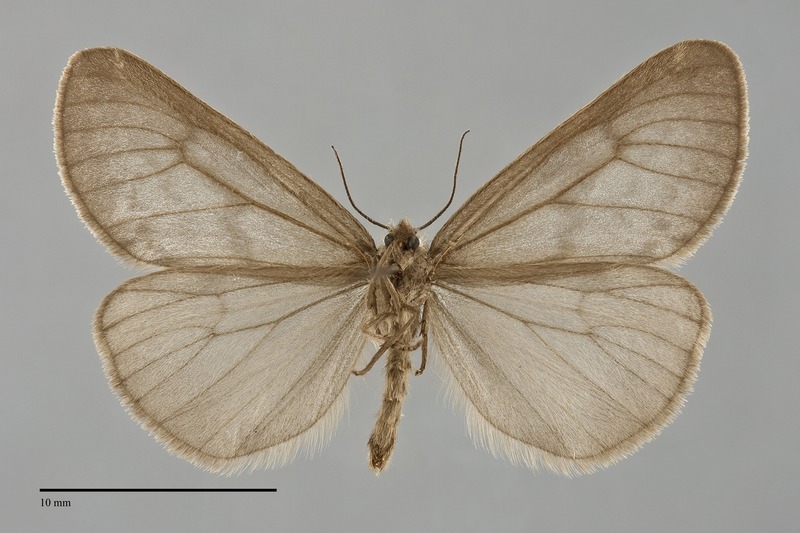 The forewing is light hoary gray with darker smoky gray diffuse wavy transverse lines, costa, and terminal area. The whitish subterminal line forms a prominent contrasting mark against the dark gray near the apex. 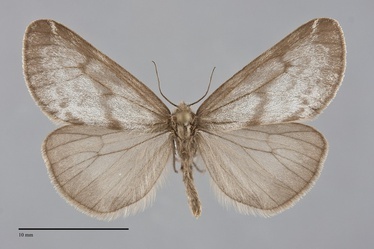 The hindwing is uniform darker gray with slightly darker veins and marginal band. The head and body are also dark gray. The antennae are filiform. Dodia species are more likely to be confused with inchworm moths (Geometridae) than other members of the superfamily Noctuoidea. They are most reliably identified as tiger moths by the wing venation and features of the location of the ear (metathoracic tympanum). Dodia albertae is found in open wet areas with willows (Salix spp.) and alders (Alnus spp. ), including bogs. Dodia albertae is a northerly species. It has been collected in the Peace River region of north-eastern British Columbia, and is likely to be more widely distributed in northern British Columbia because it occurs in adjacent Alberta and Yukon Territory. It is not likely to be found further south. This species has a Holarctic distribution. In Eurasia it occurs from northern Mongolia to eastern Magadanskaya Oblast. In North America it occurs from Alaska east to eastern Alberta and central Northwest Territory. It is replace by the recently described species Dodia tarandus further east. The early stages of D. albertae are unknown. Adults occur from early June until mid-July. They fly both in the day and night.